It’s been a long winter. I haven’t ridden in something like six months. So I binged a little on my first ride, and now my right knee hurts a bit. It’s likely a fit or cleat issue or a too much too soon issue. I was only going to do 15 or 20 miles, but I was tempted to do more. Regardless of the slight discomfort, it was awesome to get out. It was chilly at 40 degrees and windy, but a few layers were enough. I ran into Dave on the way back, and riding with him was nice. 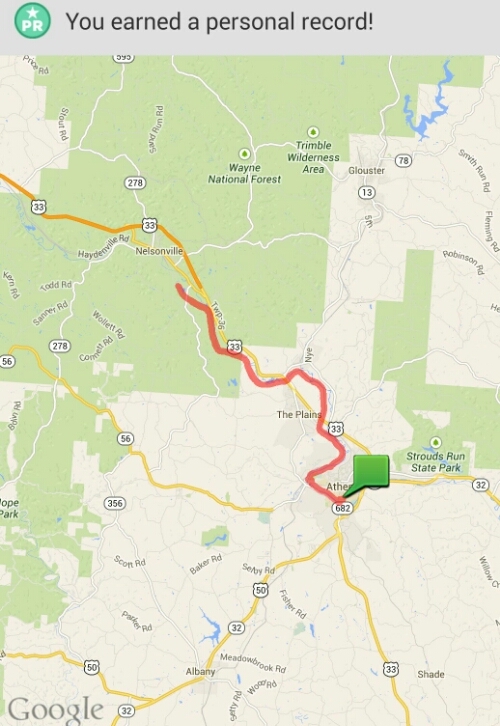 Ride details and route :I rode with MapMyRide! Distance: 29.38mi, time: 01:59:20, pace: 4:04min/mi, speed: 14.77mi/h.